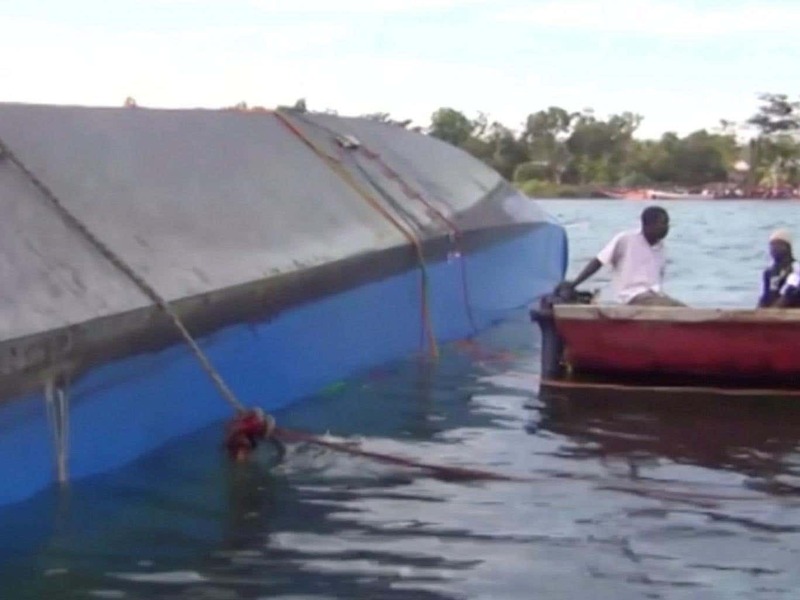 At least 29 people have died after a pleasure cruise boat capsized and sank on Lake Victoria in Uganda, according to police. The vessel was carrying more than 90 passengers on a trip around the lake when it overturned close to shore near the capital Kampala around 7pm on Saturday evening. Senior police officer Zurah Ganyan told Associated Press that 27 people were rescued overnight, leading officials to believe that the death toll could rise. Ms Ganyana said the boat was in poor condition and did not have a valid license to operate. The couple who owned the boat were among the victims. The party boat is believed to have been on a routine weekend cruise that is popular among young Ugandans. “The boat was overloaded and secondly there was bad weather,” said deputy police spokesman Patrick Onyango. On Sunday, a police helicopter hovered low over the spot where the boat sank, as a team of divers searched for bodies. Witnesses who were at the lakeside on Saturday night said they had heard people calling for help as they tried to stay afloat and others had tried to swim ashore.